Our chef provides locally sourced produce with a varied family friendly menu. All food is freshly cooked in our kitchen. The menu consists of traditional classics and tasty specials. 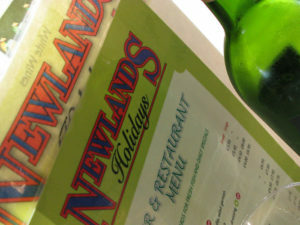 Newlands is part of the Taste of the West scheme, meaning meals are made using the best local produce. The restaurant specialises in West Country reared meat and locally caught fish. Our fish supplier only sources fish from areas managed responsibly, promoting the message of sustainability. Weekly specials of local, line caught fish are available too. We also offer take away food, including traditional fish and chips, burgers and pies. Open from Easter to the end of October; Lunch is served daily 12 – 2pm, with evening & take away food served 5.30pm – 9pm. Charmouth Beach provides something for all the family. In summer the expanses of sand and gently shelving waters make it the ideal family beach. In autumn and winter the effect of storms and the waves on the cliffs create a haven for fossil collectors. Charmouth Fossils have appeared on numerous television programmes, and are displayed in museums throughout the world. If you want to find out more, or want to learn how and where to look, then visit the Charmouth Heritage Coast Centre. 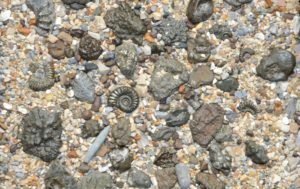 Charmouth – Fossils – Jurassic Coast – Lyme Regis Copyright © 2019. Charmouth Traders Association. All rights reserved.